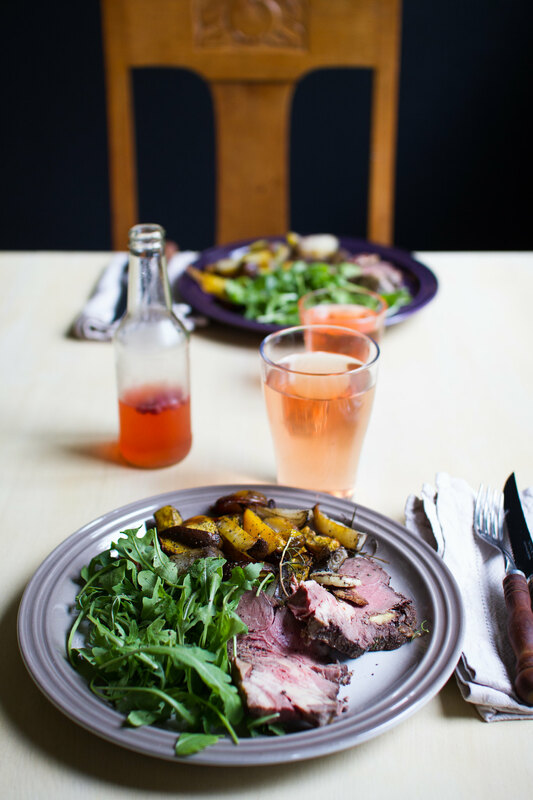 Yesterday we made a simple dinner of oven roasted white and yellow beets served with rucola and chuck steak. 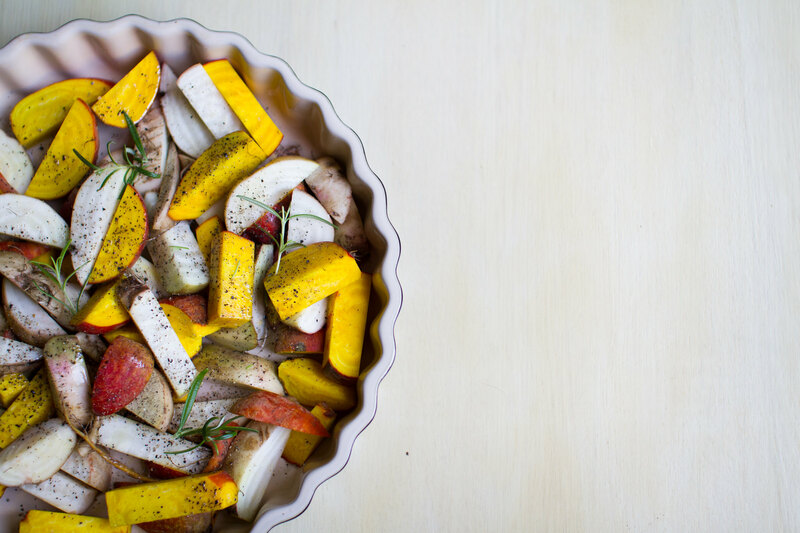 White and yellow beets seasoned with fresh rosemary and black pepper. Even though it was indeed a simple dinner to prepare it was largely due to the fact that we made the chuck steak the day before yesterday and the beets yesterday, but nothing wrong with planning ahead, aye? 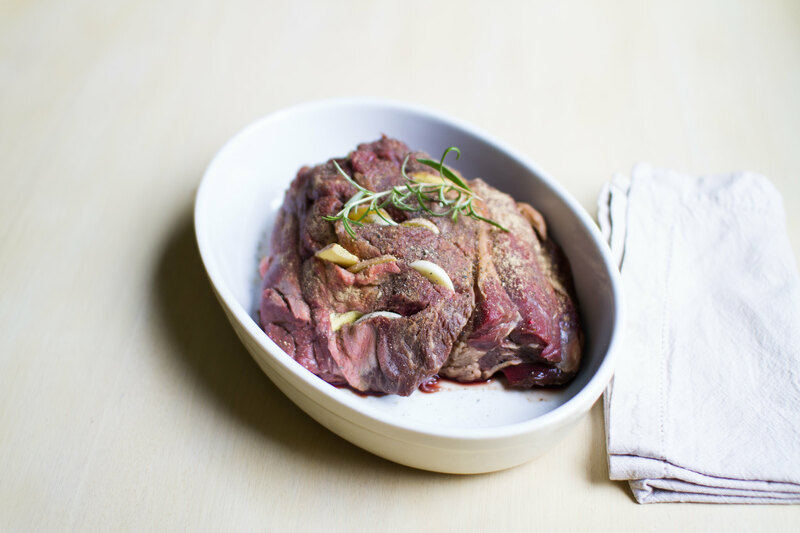 Chuck steak seasoned with fresh and powdered ginger, garlic and a branch of rosemary. 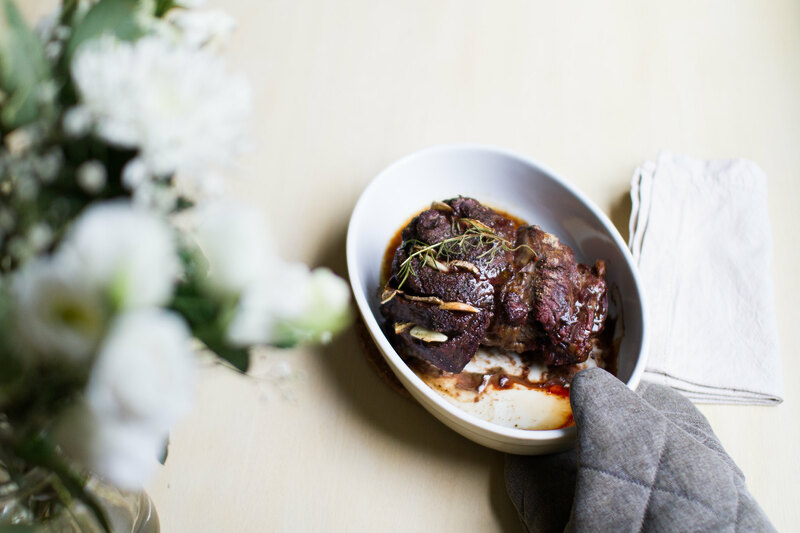 The chuck steak was roasted on 160 °C for about one and a half hours. Before it went into the oven however, we seasoned it with ginger, garlic and rosemary. We made some cuts in the chuck steak and stuffed sliced fresh ginger and garlic into them and topped the whole thing with powdered ginger and fresh rosemary. 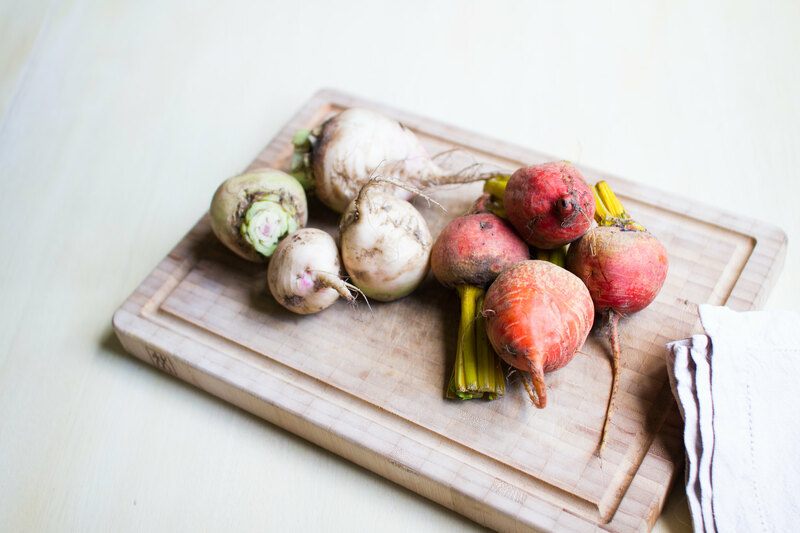 The beets that we picked up at FRAM are just amazing. Not only do they feel really fresh and look fabulous, but they are also taste marvelously. 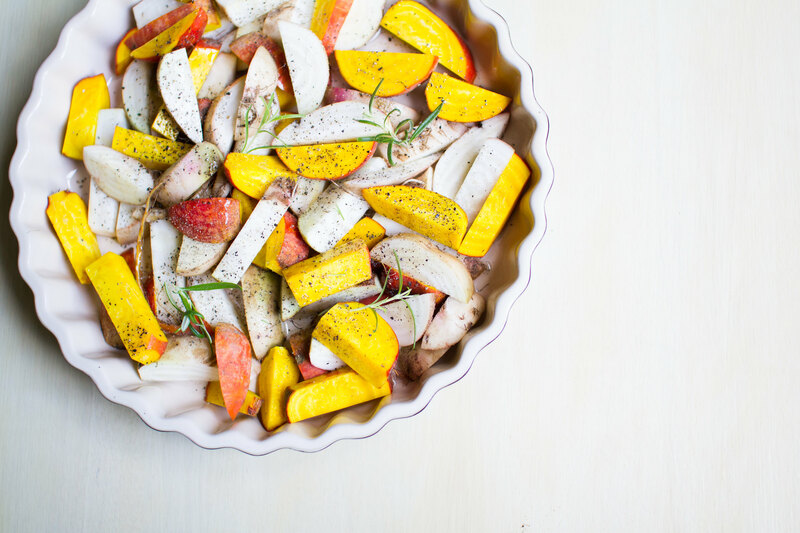 The yellow beets are one of the most beautiful vegetables I have seen in a while. We cut the beets into rods and seasoned with more rosemary and black pepper. Of course we added some neutral coconut oil as well, to help in the roasting and bringing out all the wonderful flavours. The beets ready for the oven. Now we only had to put it all together. Served with a handfull of rucola and a cold glass of homebrewed lingonberry kombucha. Don’t forget to add some healthy fat, we used some olive oil and our newly purchased coconut vinegar for the rucola and some butter for the beets.